If you hate your old wooden floor, you really should give us a call. 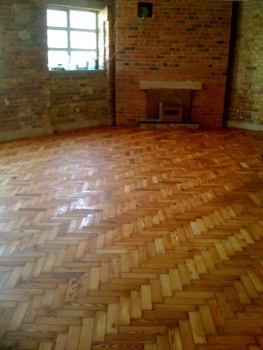 Wood floor sanding in Keston is an easy and convenient alternative to covering up broken floorboards with a carpet. Moreover, floor sanding is usually cheaper than replacing the entire flooring with a new one. All Bona-certified tradesmen use modern equipment to lift old varnish and sand down wood to a smooth finish ready for staining and resealing. 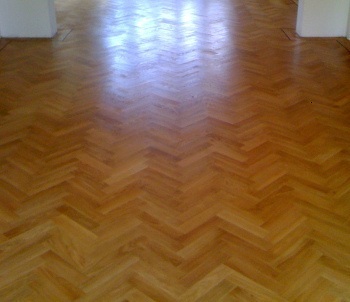 Use us as a landlord, for your business premises, or for wooden floors in your home. You'll add value to your property with the restoration of hardwood, softwood or parquet floors, and end up with an attractive and easy-to-clean surface too. If, you want to learn a bit more about our affordable wood floor sanding services, continue reading! Dirt: Put mats at doorways to prevent grit, which can scratch floors from being walked into the room. In your home, why not make your wooden floored rooms shoeless zones? Colour Fading: Direct sunlight can bleach the colour from stained floors. Pull curtains or blinds on sunny days to protect your floor - you may find you keep your home cooler too! Water: Mop up spills promptly to prevent water from working into tiny cracks between floorboards, causing staining or warping. 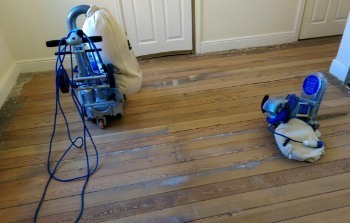 It will only take a few minutes to set up your quote for floorboards restoration in Keston. Our customer support team is on hand 24/7, so give them a call right now on 020 3404 4979. Alternatively, book your no-obligation consultation through the chat service on this site, simply type into the box for an instant response. Finally, when you'd like us to call you, set this up by leaving your details on our contact form. The experienced floor sanding technicians will come to you any day of the week, so just tell us when you'd like to see them.